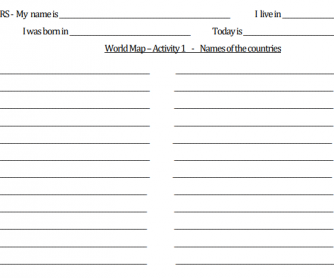 This exercise is about English and Geography. 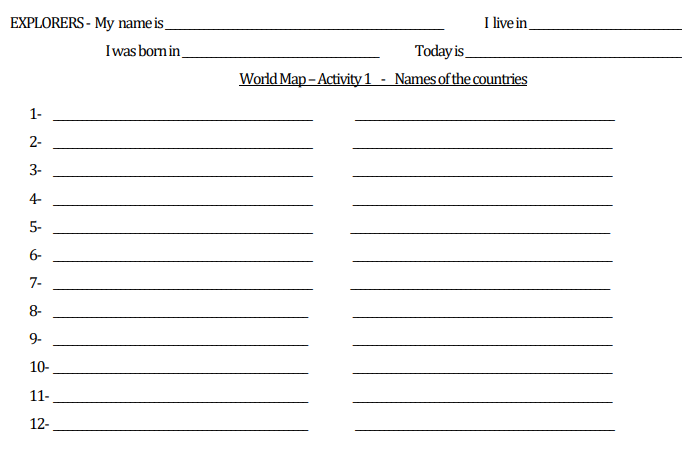 The teacher should choose the name of 12 different countries around the world. The students put the list into alphabetical order. With the help of a very big map showed to the students, they paint the countries on the map.